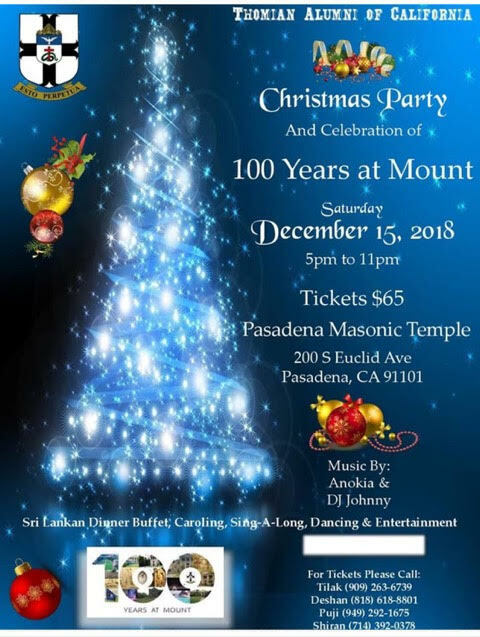 Christmas Party and celebration of 100 years at Mount organized by Thomian Alumni of California. Music by Anokia & DJ Johnny. Sri Lanka Dinner Buffet, Caroling, Sing-A-Long, Dancing & Entertainment.